Sleep specialist Dr. Raj Dasgupta sets the record straight about three common all-natural sleep aids: chamomile, kava and valerian root. Can they really help you catch more zzz’s? One of the most popular beverages in the world, coffee has undergone a resurgence from the basic can of ground or instant coffee popular in decades past to a premium hot and cold beverage we indulge in around the world. There are many stories and legends about how coffee was first discovered. Some believe it was found by ancestors of the Oromo tribe in Africa whereas others believe it was the 19th century Ethiopian goatherd Kaldi who discovered it when his goats became excited after eating the beans. Still, others believe it was discovered in Yemen by Sheikh Omar who was known for his unique abilities to cure the ill through prayer. After being exiled, it is said he chewed the bitter beans when he was starving and living in a cave in the desert near Ousab. He found the beans to be too bitter and roasted them thinking it would improve the flavor. However, they became hard so he boiled them which resulted in coffee and was heralded as a miracle drug throughout much of the region which caused Omar to be received back into the community and made a saint. Despite the many stories from around the world, the first documented piece of credible evidence is from the 15th century in the Sufi monasteries around Mocha, Yemen which, many might argue, that the story of Omar proves to be the factual account of where coffee came from. It was in Mocha where the bean was first roasted and then boiled in a similar fashion to how it’s prepared today. It wasn’t until 1670 that coffee hit the rest of the world after it was smuggled out of the Middle East by a man named Sufi Baba Budan who took seven seeds from Yemen to India strapped to his chest. Before, any exportation of coffee was regulated to pre-boiled or sterilized coffee. The seeds were then planted in Mysore and used to breed new plants which took them to Italy, the rest of Europe, Indonesia and finally North America. As the centuries passed, coffee continued to be used as a medicinal drug for stomach ailments as well as being used as an energizer. According to documentation, it was traditionally called Bunno and served in a porcelain cup each morning that was passed from one person to the next, each of whom consumed a cup. Then, in 1600, Pope Clement VIII declared coffee a Christian beverage and its popularity increased dramatically. By 1645, coffee houses were born in Rome and within just a few years, they were one of the most popular establishments around the world. By the early 1900s, instant coffee was invented by George Washington of Belgium who took out adverts for his Washington Coffee in 1919. Coffee was now available globally and the Dutch East India Company began to aggressively import coffee. One of the first places it began to introduce its coffee was in England where it instantly became popular. In 1654 the Oxford’s Queen’s Lane Coffee House was opened and it still remains in existence today. After its success in England, the importer introduced coffee on a large scale to France in 1657 and finally Austria and Poland following the Battle of Vienna in 1683. Despite it’s European popularity, America didn’t immediately take to the bitter drink, instead preferring alcoholic beverages over coffee. It wasn’t until the Revolutionary War when the demand for coffee in America became so great that suppliers began to hoard their supplies and prices were significantly jacked. Following the War of 1812, when Britain cut off the import of tea to the United States, coffee became the drink of choice. Meanwhile, in Brazil, coffee was spiraling out of control in popularity and cultivation was prime due to the regions fertile soil. Today, Brazil remains the number one producer of coffee worldwide generating 2,609,040 tonnes each year. Of the two main species of coffee grown, arabica coffee continues to be the more popular and well regarded type in comparison to robusta which is more bitter and offers a reduced flavor profile but better body. It’s because of this, that 3/4 of all coffee cultivated today is from arabica beans, however, its still the high quality robusta beans that are used for traditional espresso due to the full bodied flavor and crema. Coffee berries or beans aren’t simply picked and roasted but actually undergo a fairly extensive set of processes before they reach our cups. First, they’re picked by hand which is a very labor intensive method but yields the best results due to the extensive pest issues that cause the majority of coffee beans to be inedible. Once the ripest berries are picked, the coffee is processed using a dry or wet process depending on the strength and flavor the producer wants. Once the berries are sorted by color and ripeness, the flesh is removed and the seeds fermented to remove a slimy layer of mucus on the actual seed. Once that process is finished, the coffee seeds are washed with fresh water to remove any dirt or residue and the seeds (or beans) are dried on raised drying tables which allows air to circulate around the entire bean or on concrete under the sun. Some coffee will then undergo a process called Kopi Luwak which is made from seeds eaten by the Asian Palm Civet and passed through its digestive system. This results in a less bitter coffee and is often regarded as being some of the most expensive coffee in the world with a single pound costing upwards of $100. The next process is the roasting stage where the green coffee is roasted until it reaches a particular taste structure. As the bean is roasted, the moisture reduces which causes it to influence the strength. During the roasting process, the bean changes color as caramelization results in the breakdown of the starches which turns them into the brown color we’re familiar with. As the temperature reaches 400°F, oils begin developing which is primarily what provides the familiar aroma and flavor profile. Once the coffee is roasted, experts grade it based on visual characteristics such as the reflection of light on the roasted seeds using a process called spectroscopy. The coffee is then graded as light, medium light, medium, medium dark, dark, or very dark roast. It’s this grade that allows consumers and brewers to determine the flavor and body of the coffee. While most people assume dark roasts to have more complex flavor profiles, it’s actually the opposite with the lighter roasts having the more complex and varying flavors. Another myth is that the grade determines the caffeine level in the coffee. 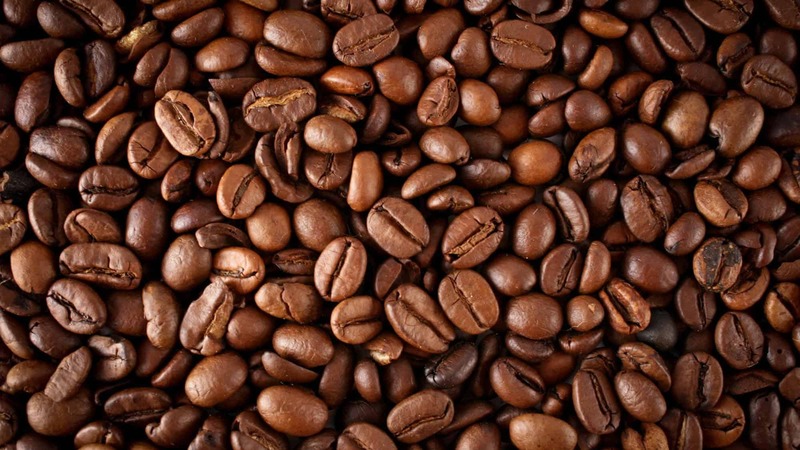 All coffee contains caffeine and for producers who wish to make a decaffeinated variant, the coffee has to under yet another process during the coffee’s green stage. There are many variations of the process, but the most common is the Swiss water process where the seed is soaked in hot water or steamed and then introduced to a solvent which removes the caffeine oils. The extracted caffeine is then sold to the pharmaceutical industry for use in medicine or herbal drugs. Crema is an important word in the espresso world, but what exactly is it? Does it really matter? While some coffee experts don’t care about it at all, others rave about it, but just like with most most things we believe: each to his own! Crema is the light tan colored liquid or foam that you can see on top of your espresso. It looks a bit like a Guinness beer with less foam. When water is forced through the ground coffee under pressure, the oil parts of the bean are emulsified, which results in tiny bubbles of air. On top of that coffee beans emit carbon dioxide for about 24 – 72 hours once they have been roasted, which means freshly roasted coffee emits CO2, which helps to create the little foam bubbles. In addition, the coffee industry has increased the quality level quite a bit in recent years. Hence, the bean’s natural oil content increased considerably. As a consequence, espresso enthusiasts from around the world became obsessed with the crema and often considered it to be the most important element of a good espresso. In case you shop at amazon and we refer you, prices are the same as normal, we just get a small commission. Thanks! However, Crema is not necessarily a hallmark of quality coffee. Even if you have the nicest looking crema in the world, your coffee could still state rather sour because the crema is the result of post-roasting carbon dioxide. At the same time, you may get a beautifully, dark roasted coffee without any crema that has a superb flavor profile. Last but not least, makers of coffee machines have tried to add certain technology to machines giving the illusion of crema while the flavor remains the same. Therefore, we suggest you rate coffee by its taste, not the amount of Crema or lack thereof. If you’re the type of person who stores coffee in the refrigerator you might want to stop. While it’s important not to store coffee in heated or lit areas, it’s also equally important to prevent the coffee from being exposed to moisture which occurs when it’s stored in the fridge or freezer. The best way to properly store coffee is in a sealed, airtight container made of ceramic or glass. However, coffee that comes in a can will remain fresh indefinitely until the can is opened. The taste isn’t exceptional but it still beats the basic Starbucks roasts and has a uniquely nutty flavor profile. The reason I mention this coffee however, is that there’s nothing else like it in the world. Surprisingly, this decaf coffee is engineered to help you sleep. Using valerian root which is an herbal sedative, I tried both the Bedtime Blend and the stronger Lights Out roasts. I was asleep within thirty minutes. About $17 a pound. When you think of sleep aids, coffee usually isn’t at the top of the list. Warm milk, brandy, and sleeping pills are all usual suspects, but coffee? Not so much. Imagine brewing coffee as a nightcap. That’s what Deland Jessop says he and his wife have begun to do with Counting Sheep Coffee–a new product designed to allow coffee lovers to drink a cup before bed without being kept awake for hours. People usually drink coffee to stay alert, but a new brand is promising to help you do exactly the opposite. (FOX News) – Most people drink coffee to stay alert but a new brews claims it can help java lovers get to sleep quickly and stay asleep. There’s vanilla flavoring for your coffee, there are single-serve technologies for coffee, and now there is a coffee that helps you sleep. 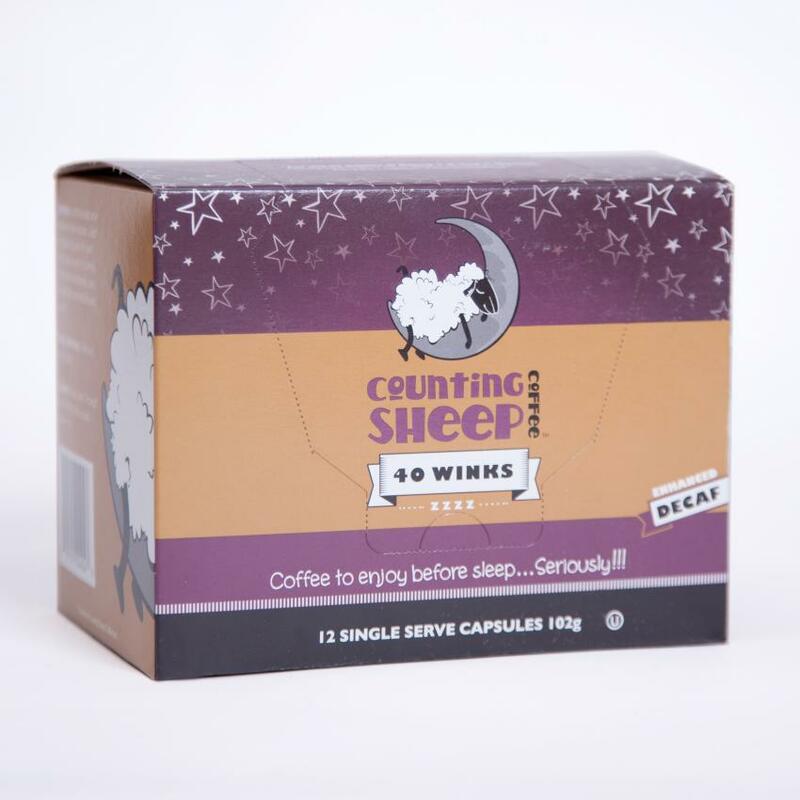 Counting Sheep coffee is a great way to enjoy coffee at night and get your beauty rest without calories or alcohol. Anyone that knows me well knows that I am a coffee fiend! I live for delicious, bold coffee and feel sad when I have to stop drinking it in the afternoon, knowing that if I drink it any later, it will keep me up all night. I also love coffee skincare products! When Counting Sheep Coffee contacted me to try their coffee, it literally changed my life. 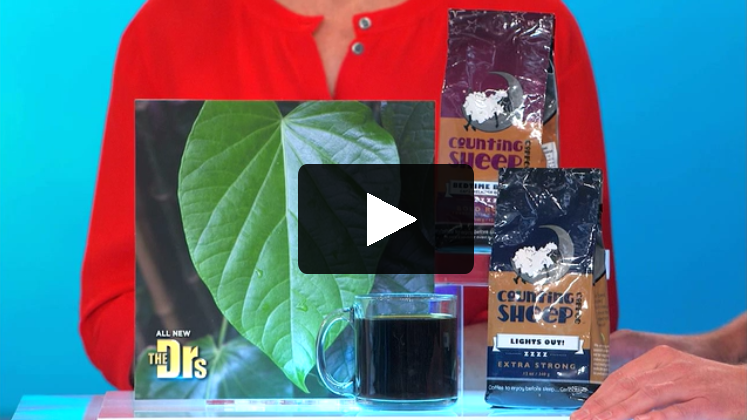 Counting Sheep Coffee is a tasty coffee that will calm you down and help you sleep! Counting Sheep Coffee, is the The Holy Grind for the sleep-deprived. The key ingredient is organic Valerian root. It’s the first and only coffee on the market that’s “designed and engineered to relax you AND put you to sleep”. This jitter-free java is the NEW natural way to hit the hay. It’s so simple, but so effective and it is the way I get my much needed beauty rest while still being able to enjoy a great cup of coffee in the evening. It’s great to get a good night’s sleep without waking up groggy! I have to also let you know that I am a coffee snob and this coffee actually tastes amazing. It’s rich and bold and I love it black – without no cream or sugar. You can choose between 40 Winks and the Lights Out blend. I prefer the Lights Out Blend – it gives me the best sleep. 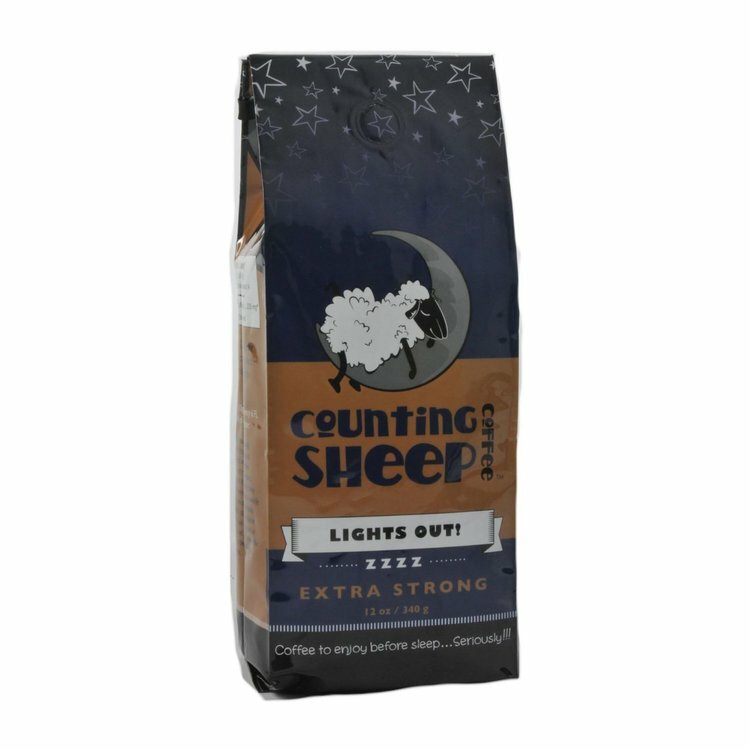 Counting Sheep Coffee’s RECIPE FOR REST & RELAXATION: Swiss Water® decaffeinated coffee is blended with organic valerian root (herbal sedative) – 99.9% of caffeine removed. Absolutely NO chemicals. Canada’s version of Shark Tank, Dragons’ Den, popularized this coffee in Canada, and now it’s made its way to America. With 1 in 4 Americans suffering from sleep issues, Counting Sheep Coffee is a perfect cup of comfort without all the side effects of regular and even some decaf coffees. 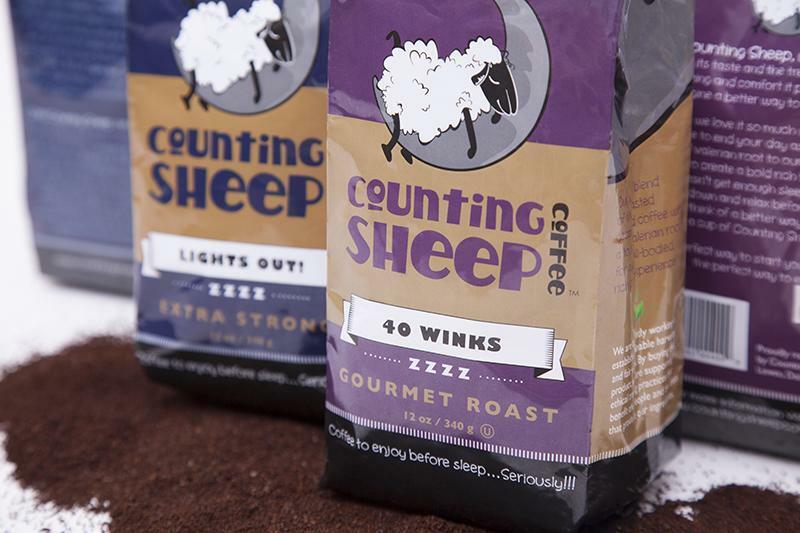 Counting Sheep is available in single serve pods and as a bag of ground coffee. I alternate between both, using my Keurig or my Hario V60 Ceramic Coffee Dripper depending on how much time or energy I have to make my coffee. If I’ve had a long day, I’ll pop a K-Cup in my Keurig and sip my way to the most restful sleep ever. Press samples were provided by the brand/PR for editorial consideration, product testing, photography and review. All opinions are my own. This coffee will put you to sleep. Huh?